You can enjoy the ships passing by with the beautiful view of the sunset and the coastal landscape. We hope you can enjoy our hospitality along with the vast and wonderful views of the Ise Bay during your beach holiday. 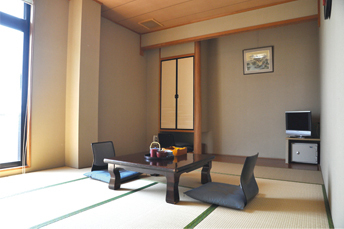 There is a nice spacious room suitable for big-family use or group use. The room doesn’t share the floor with the other guest rooms so you can feel more relax and enjoy your own space. 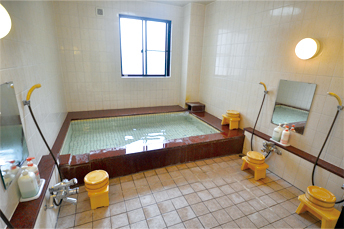 We used to have an Onsen (hot spring) bath facility, however now we have no choice but to suspend that operation due to the increase of costs. For those guests who would like to enjoy Onsen, we sell discount tickets for an outside public hot spring facility (Sotoyu　Shirasuna no yu) at our Hotel reception. We apologize for your inconvenient. We will make every effort to advance the quality of our cuisine with honest business mind. We look forward to your continued patronage in the future. special cakes, flowers, gifts for your guests and facility booking. We also cater for people with special dietary needs such as food allergy. ・Ask us if you need more information about paid transportation service. Children 12 years and younger apply for Kids rate (Children 13 years and older apply for regular adult rate). 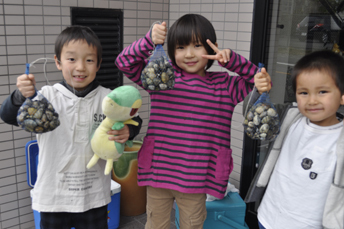 The rate for those 5 years and younger varies depending on with /without meal or futon (not depending on the age). We cater for children with special dietary needs such as food allergy and will inform you the rate accordingly. It would be an even greater pleasure if your children like seafood dishes more than before.